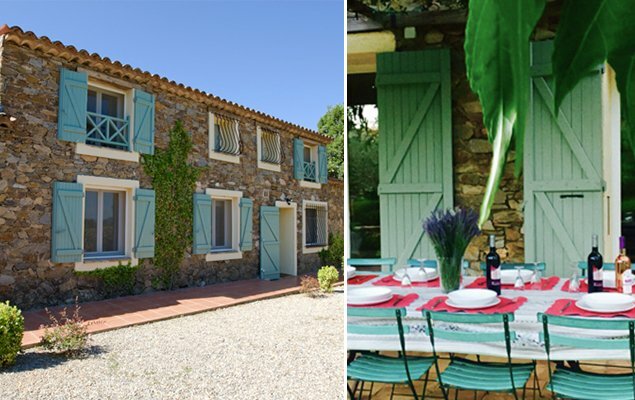 Take in the luscious sights and scents of the Provence countryside with an escape to your own private villa in the southeast of France. 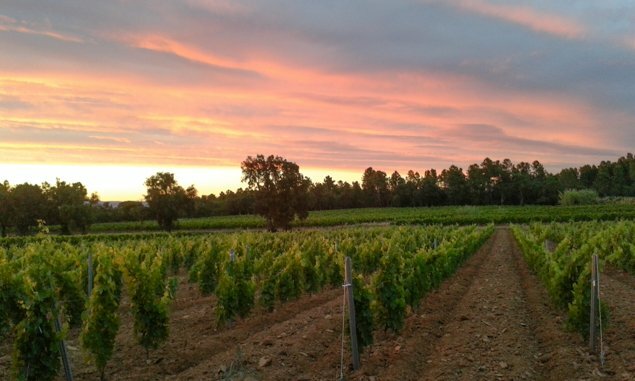 Surrounded by 42 acres of award-winning vineyards, the De la Barre Villa has a postcard-worthy location that’s incredibly private and yet close to some of the area’s most acclaimed destinations. 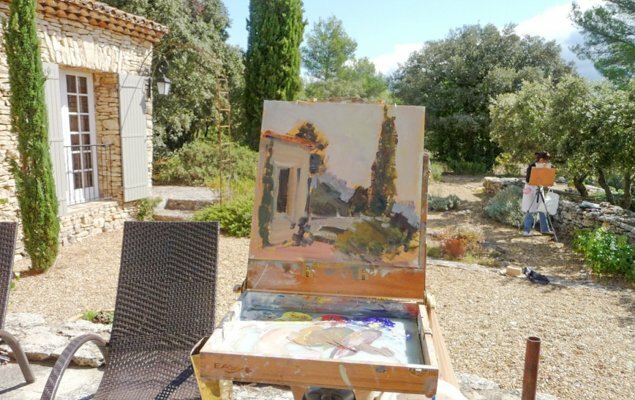 Explore charming villages like Vence and Gourdon, often considered among the most beautiful villages in Provence, or go perfume shopping in Grasse. Drive south to the coast where Nice, Antibes, Saint-Tropez and countless beautiful vistas await. Irresistibly peaceful and welcoming, this luxury villa features 5 bedrooms, 5 bathrooms, sprawling living spaces – both indoors and out – a heated saltwater pool, multiple balconies with vineyard vistas and lush manicured gardens that feature all the joyous scents of Provence – lavender, rosemary, wisteria, olive and mulberry, just to name a few. The décor inside is comfortable and simple, which perfectly meshes with the quaint, rural setting. 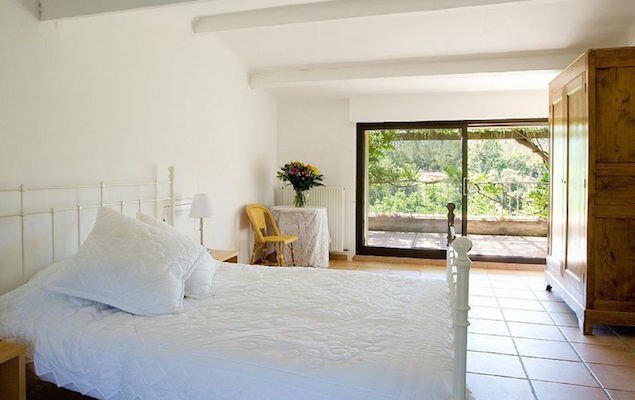 Every single bedroom not only has beautiful views of the surrounding greenery, but also has its own en suite bathroom! The kitchen is fully equipped with everything needed to make delicious feasts for the entire group, and you’ll have the choice to dine indoors or on the expansive outdoor patio. 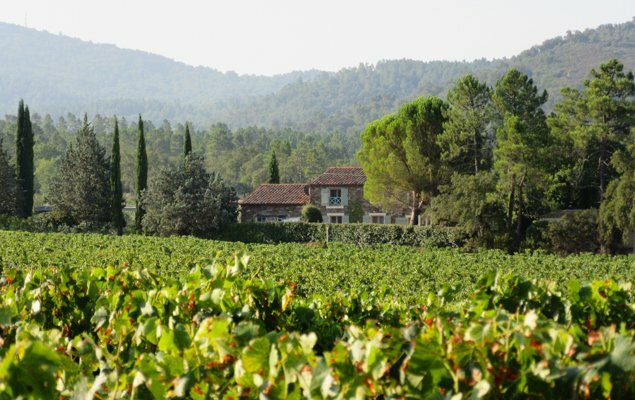 Provence wouldn’t be Provence without its gorgeous landscape and pleasant weather. All around the property are beautiful spaces for outdoor relaxation and dining en plein air. 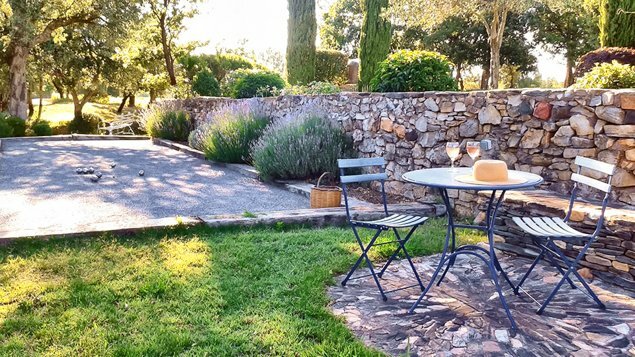 Read a good book in the dappled sunlight on the patio, enjoy a glass of wine in the garden or simply soak up the sunshine and breathtaking vineyard views from the balcony. 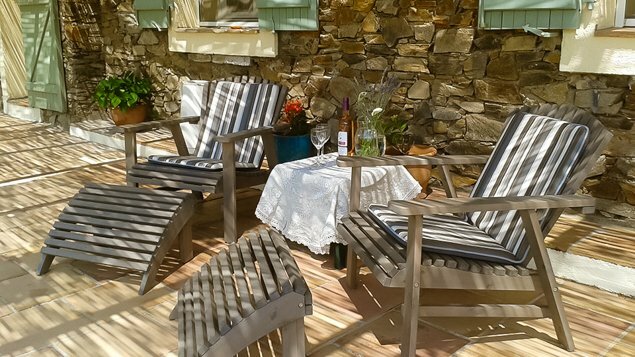 Here, the great outdoors becomes an important part of your living space: think of the patio as a second dining room and the garden as an extension of the living room. 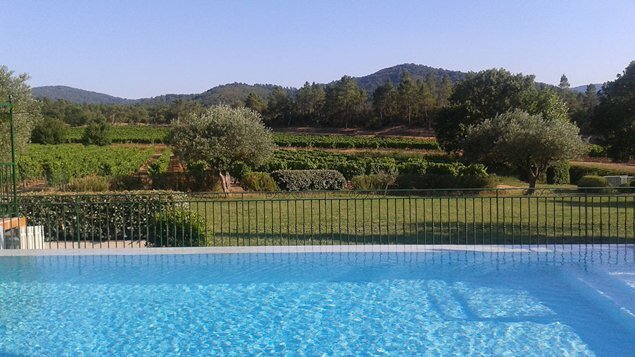 For warmer days, nothing is better than taking a dip in the bright blue, refreshing swimming pool. But don’t worry, it’s completely fenced and kid-friendly, with a shallow end that’s perfect for less adept swimmers. If you’re looking for a true getaway from the stress and tensions of this world, this is the perfect place for you. 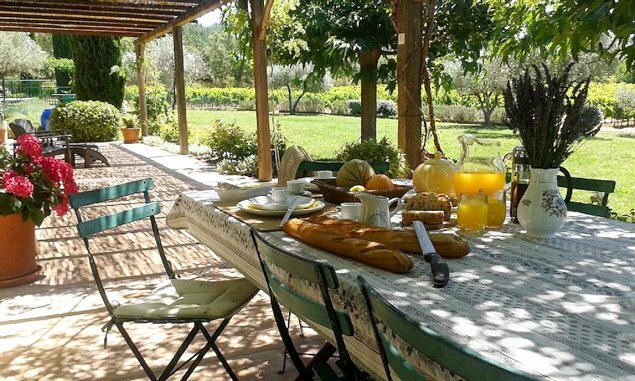 In the Provençal countryside, your only responsibilities are relaxing, eating, smiling and dreaming! 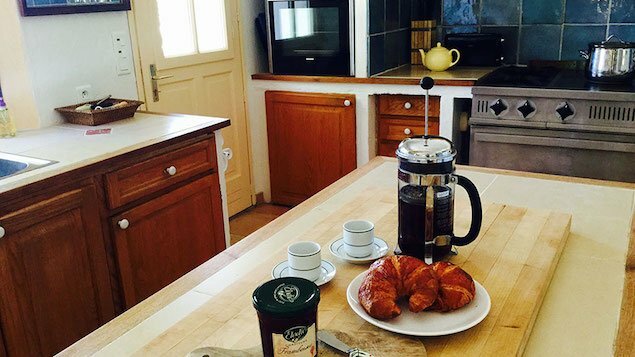 To see more photos and plan your stay at the De la Barre Villa, simply click here. NEXT: How to Best Enjoy Paris Christmas Markets! Posted on Thursday, December 10th, 2015 at 3:30 pm in Apartment Rentals. You can follow any responses to this entry through the RSS 2.0 feed. You can leave a response, or trackback from your own site.